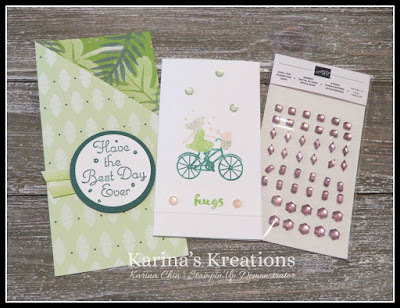 Karina's Kreations: Stampin'Up One For All Pocket Card! 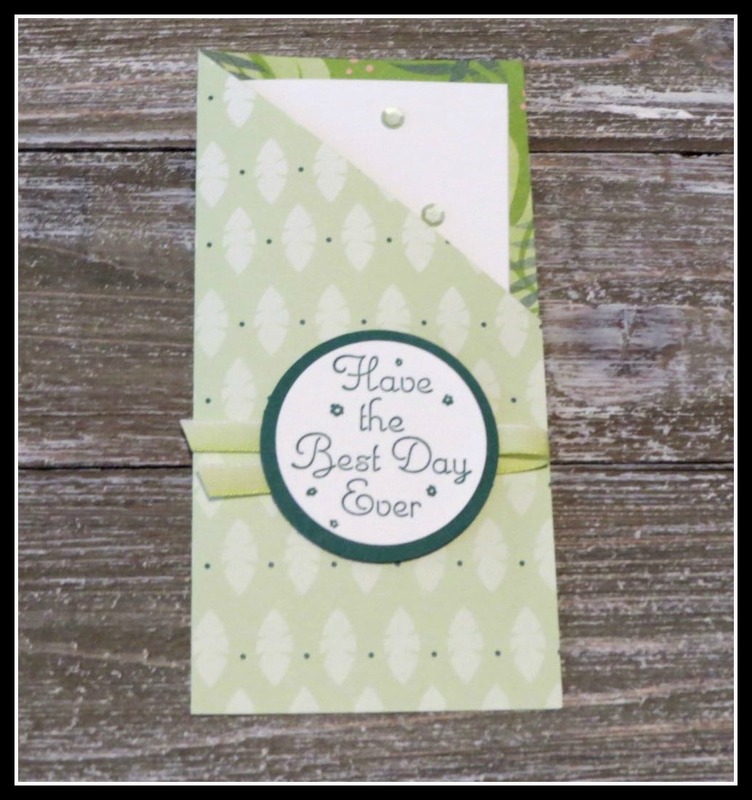 Stampin'Up One For All Pocket Card! Are you taking advantage of the sale? Stamps and Kits are on Sale today! I wanted to feature the One For All stamp set. I have used two sentiments for this card by using Stampin' Write markers. You can use the markers the color the part of the image you want to stamp. The colors I used are Shaded Spruce, Petal Pink, Crumb Cake and Granny Apple Green. I folded a piece of 6" x 6" Tropical Escape Designer Paper in half to create a pocket and closed it using Tear and Tape adhesive. Then I used a Narrow note card for the inside of the pocket and added some Basic Adhesive Backed Sequins. If you place a $60 online order Nov 23-28 using YJCKZS3W as the hostess code, I will send you 2 hand stamped cards, a treat and a package of Petal Pink Rhinestone Gems for FREE. Click on a picture to go to my stamping store.